Was The Price Right For the Critics? Now playing through to 27 April. Jonathan Church's revival of Arthur Miller's lesser-known The Price has hit London's West End. Opening at the Wyndham's Theatre on 11 February The Price stars stage and screen favourites David Suchet and Brendan Coyle. But, what did the critics think? 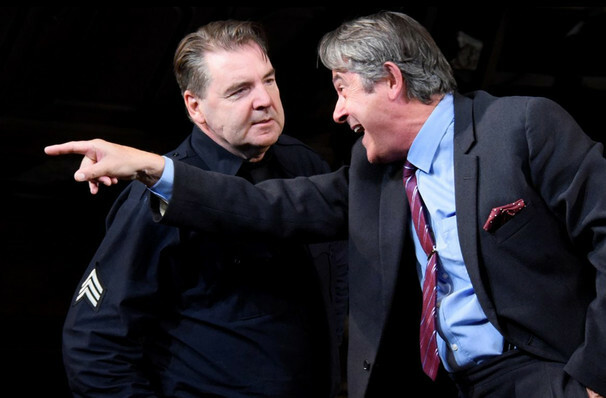 The overall response was a positive one with the Evening Standard saying "this is a worthy, weighty addition to the West End scene, anchored by two splendid performances, from the imitable David Suchet and Brendan Coyle". The Standard continued with praise for the production calling it a "rich and powerful production". The Upcoming praised Simon Higlett's design of the play saying that he created a set that "stands up to the challenge. The Stage is heaped with period furniture that towers up the walls and onto the ceiling in a gravity-defying representation of the weight, excess and farce of wealth and wealth lost". Londontheatre.co.uk rounded off their four-star review with "It's a tale of parental legacies and disappointed lives that's powerful, pertinent and well worth seeing." What is The Price about? Following the death of the family patriarch, Victor Franz and his brother Walter return home to divide up the family assets; joining them are Esther, Victor's wife, an alcoholic, and a seedy furniture dealer who is determined to get the best price for his work, no matter the cost to anybody else. Thanks to the Depression, Victor made huge concessions in order to care for his father, whilst his brother Walter left to become a successful doctor; however, seeing everybody else paw over his parents' possessions bring out long-buried conflict within himself and forces him to question the value of his sacrifice. The Price is now playing at the Wyndham's Theatre through to 27 April. View our show pages for more information about The Price, Wyndhams Theatre.